Sarika Sethi is a prime example the woman of substance. She built Gemini brick by brick with Rajiv is the woman behind his success. Two decades ago she started at the bottom of the pyramid in an organization where she was an academic misfit. Sarika, a graduate is social sciences suddenly found herself surrounded by equipment and information that required specific skill sets and technical expertise. Not the one to walk away , she quickly learnt the ropes through hands on experience and rigorous training under a consultant. 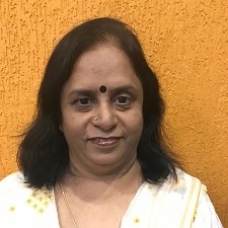 Over the years she rose to the position of General Manger - Finance and Accounts, which she held for many years whilst Rajiv managed Gemini Power Hydraulics. She then went on to groom herself for leadership roles, when she enrolled in the executive management programme at IIM Bangalore. Independent and armored with expertise and cutting edge business insights, Sarika today leads Gemini Power Hydraulics from strength to strength. A home maker and a colorful personality, Sarika strikes a fine balance in her personal and professional life and inspires as well as encourages her teams to do the same. When she is not guiding the business or tending to family, Sarika ensures she is indulging into music, art or adventure sports. 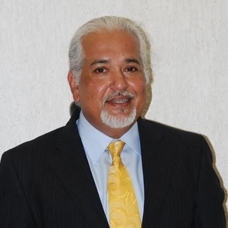 Rajiv Sethi is the founder, promoter, mentor and managing director of Gemini Group of companies. He started as a first generation entrepreneur almost 25 years ago, treading a path where none of his family members had ever ventured before. A visionary, he started modestly by incorporating a trading company called Gemini Marketing Services (now Gemini Power Hydraulics), which even today specializes in high quality industrial tools. Seizing on the potential opportunities the market had to offer during these decades he quickly drafted a team together (who are part of Gemini’s leadership today) to win over new mandates, offer excellent services and improve Gemini’s value proposition with customers. A true team player and a thorough professional, he backed this up with professional work practices and adopted benchmarked financial and operational standards. In 2003 Rajiv established Fagioli PSC India Pvt. Ltd., an Anglo Italian joint venture specializing in the niche area of Heavy Lifting. India had just begun her Infrastructure journey and Rajiv foresaw a future in the equipment plant hire business in India. Private equity investors co-invested with Rajiv to set up GEAR which in just over a year came to occupy a dominating position in the industry. 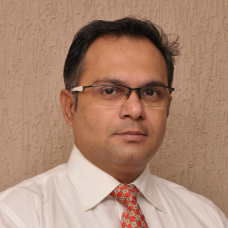 Subsequently Rajiv unlocked his investments from GEAR and decided to explore new opportunities. Over the years Rajiv has also invested in himself, in his own learnings to keep pace with the business environment and has transformed himself into a results driven professional armed with excellent communication, team building and analytical skills. He is also very active in the electronic and print media where he actively blogs and provides vital insights pertaining to the industry through various newsletters and allied publications. Although a Mechanical Engineer by profession, Rajiv has always been a multifaceted individual, highly passionate about music, photography and travel. His dream is to pen a book someday and he is currently on the quest to discover the subject he wishes to enlighten us with. 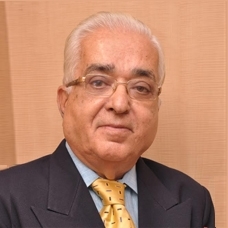 Mr. K. C. Sethi or KC Sir as he is fondly addressed by one and all is the Director of Gemini group of companies. Born in pre independent India, KC has seen our motherland grow from strength to strength. He has contributed to India’s green revolution, by being actively in public service with Rashtriya Chemicals and Fertilizers (RCF) a mini ratna public sector undertaking from 1961 - 1993. He retired as a General Manager - Commercial, responsible for overseeing and guiding project purchases. The highlight of KC Sirs stint at RCF was that he was pivotal in the strategic management of material movement and heavy transportation for the RCF Thal Project. Commencing operations in October 1984, it is the world’s largest ammonia Plant in a single unit and also the Asia’s largest urea plant. The plant’s capacity for urea is 1.5 million tons per year and it is spread over an area of 600 acres. 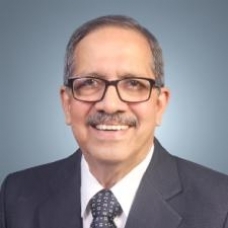 Post retirement in 1993 and upto 1998 KC Sir consulted with petrochemical organizations, most notably the HS Group where he guided their materials management and logistic operations through his rich expertise. In 1998 he joined Rajiv to enable Gemini’s growth story. Over the years he has continued to contribute immensely to the group. He enabled the set up Fagioli PSC in 2001 - 2002, which took advantage of the tenth five year plan which focused on the growth of the power sector and heralded private participation in the development of power generation and infrastructure. Fagioli enhanced project guidelines in heavy lifting techniques and excavation and thus partnered with private players in reducing project delivery timelines. KC Sir also played the role of an acting Chief Operating Officer for the group companies and build strong customer relationships, whilst Rajiv focused on business development. A Workaholic , KC sir is actively involved in spiritual discourses on the Bhagvad Gita and devotional singing when he is not working. 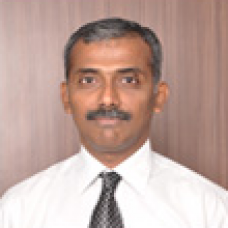 Mr. Arun Kumar joined Gemini in 1997 as a site engineer. Over the course of the last 15 years he has grown from strength to strength along with the organisation. He has been a key contributor and is now part of the leadership team. Arun is currently responsible for the marketing and sales strategies of multiple products and solutions on a pan India basis. He is known in the organisation and our customers for being a wiki of accurate product knowledge and their applications. Over the years Arun has shown excellent negotiation skills and has always worked with customers towards creating win - win situations. With focused outlook on the work assigned to him, Arun dedicated himself for advancement of GPH. Prior to joining GPH he has been associated with Sri Venkateshwara Engineering Works and PES Engineering. Laxmi as she is fondly called in the organisation, joined GPH 20 years ago when the business was being set up. She is truly a lighthouse of the organisation and has played a very vital role in building this organisation brick by brick and growing it from strength to strength. Laxmi is a skilled professional with good communication skill, strong people management skills and is known to deal with others openly and honestly. 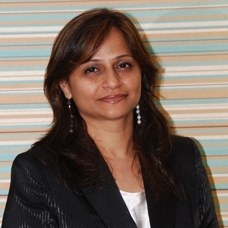 An astute and dedicated professional with an extensive experience in Finance with exposure to direct & indirect taxation, fund management, due diligence, forex management, inventory management, forecasting ratio analysis, Laxmi has handled various portfolios across the organisation from time to time. Currently Laxmi plays a very vital role in analyzing the business performance, projected analysis in itemized profit and revenue margin analysis along with segment and branch wise costing, product and profitability analysis and day to dat finances. Prior to GPH she has worked with companies like Process Units and Pawa Dwells. An affable personality, she can fluently speak in 5 languages. 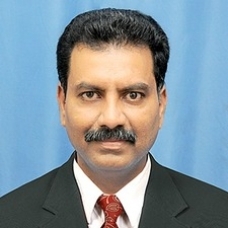 Shenoy joined Gemini in the year 2007 and is currently designated as Business Head. He is a key member of the leadership team at Gemini Power Hydraulics where he is responsible for marketing strategy, lead management and sales analytics and customer services and operations. He brings with him more than 3 decades of rich and valuable expertise. Over the course of his career he has developed immense experience and knowledge in strategy planning, new business initiatives, sales, business development, marketing, dealer development and training and brand management with leading organizations. In his last assignment he worked as a Business Manager with Atlas Copco (I) Limited. At Gemini GPH Shenoy influences the leadership team with his analytical thinking and business insights, innovation on applications & towards creating value for customer thus facilitating the achievement of revenue & profit growth for the organisation. Starting his career as a Marketing Engineer toward being the Business Head Mr. Shenoy’s core competencies lie in Operations Management, Sales and Brand Management. He has completed his BE (Mechanical) from REC, Surathkal. Kalpesh has been with us for more than a 18 years now and has been instrumental in our success story. He brings with him combined experience in Sales & Site services. He is currently responsible for the marketing, sales and execution strategies for site services in India & abroad leading strong team of qualified technicians and engineers. He is also responsible for marketing & sales of Peinamann Bundle Pullers & E.H. Wachs equipments on pan India basis . In his previous assignment he was responsible for sales & services of industrial tools and integrated solutions on a pan India basis. Over the years he has handled various portfolios in the organization. A go getter by nature he is known to develop a strong rapport with customers. He has handled smooth execution of complex shutdown jobs with ease due to his immense technical acumen. Prakash joined Gemini marketing services (now GPH) in 2002 as application engineer and then got promoted as Regional Head for South India. He has gained major customers through effective communication and good inter-personal skills. Adept in tapping potential accounts, analyzing their requirements and rendering technical guidance to the clients, he has increased the GPH footprint manifold in the south.